It's been a little over a decade since Jack Ryan made an appearance on the big screen in 2002's The Sum of All Fears. In what turns out to be a precursor to the Batman Hullabaloo (as I'll refer to it from now on/forever) Ben Affleck was scoffed at for daring to accept a paycheck for stepping into the practically hallowed and definitely spy-worn shoes of Harrison Ford and Alec Baldwin. 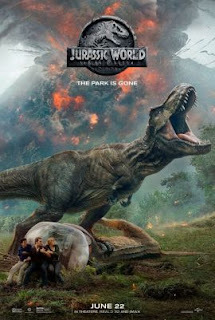 This time around, Chris Pine, the king of the franchise reboot, steps into Ryan's less worn, more prequel-ready shoes, and as these things go, the result is...perfectly adequate. 4. Wait...was that Kevin Costner...and wait, Keira Knightley is still acting? Ok, so it wasn't REALLY about the fact that Kenneth Branagh had directed THOR. Although for movie marketing purposes I understand why this was more important for the studio to emphasize than say his adaptation of "Much Ado About Nothing" or "Hamlet". I like to imagine that somewhere on a cutting room floor there's a tv spot that says "Remember how much you loved his 4 hour Hamlet...you'll love his 90 minute spy flick" but alas, I'm given to pipe dreams and fantastical imagination tangents. 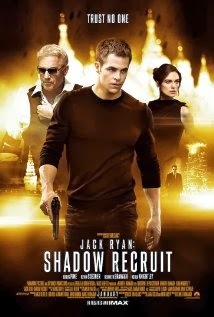 The opening of Shadow Recruit sees Jack Ryan as a grad student at the London School of Economics who is so affected by patriotism that he joins the military after witnessing 9/11. This is a fair point. And, as is always Jack Ryan's lot in life, he's so good at everything, including dragging men from burning helicopters that he ends up at Walter Reed to recover from his injuries. This is a less fair point because what's the point of being a spy superhero if you have to go through physical therapy. Thank goodness he has a looker of a med student (Keira Knightley) and a kind of creepy, but kind of charming soon-to-be-mentor (Kevin Costner) to look out for him as he recovers from this rough patch. After being recruited by the CIA, Ryan begins work as a financial analyst for a Wall Street firm who, as far as I can tell, pretty much just makes money without ever having any kind of solid product. This is a very fair point seeing as we're still in an economic recession from this type of behavior and yet, still, have plenty of firms doing exactly the same thing now. Somehow Jack Ryan realizes, after going over copious Excel sheets, that one of his firm's clients' financial situation doesn't add up. When he takes it to his boss, Harper (Costner) he basically says, "well they're Russian and they seem to be squirreling away a LOT of money....like planning something horrible kind of money." Harper immediately sends him to Russia to take care of this dirty business. While in Russia, Jack Ryan attempts to con his nemesis/client Viktor Cherevin (Kenneth Branagh). Jack discovers that Cherevin's big plan is to incite a terror attack that will cause the stock markets of the world to come crashing down. Since he will have bought up tons of stocks and then short-sold them AT THE EXACT MOMENT the terror attack occurs, he will have ALL OF THE MONEY IN THE WORLD MUAHAHAHAHHA. Seriously, spy villains, come on. Isn't it about time to, I don't know expand your horizons, think about starting a charitable fund or something. The rest of the movie is reliant on Keira Knightley's Cathy hotel crashing this spy party, Branagh's Cherevin being as equally creepy and charming as Costner's Harper, and lots of chase sequences. I was satisfied with all of it. This isn't to say that any of it is done with any distinct sort of panache, but it isn't bad. Any time there's a "franchise" involved, you're not going to be at liberty to put too much of a distinct spin on it; but, since it could be argued that Shakespeare is the world's biggest franchise, and Branagh has often acquitted himself very nicely there, he does an acceptable, bordering on admirable job here. Chris Pine could charm the habit off of a nun, just with his handsome stare alone. Put him on a motorcycle and there's no way you can fail. Costner's back, so that's kind of fun. I swear, somewhere Liam Neeson and Nic Cage teach a 7-day training seminar on how to rehab your career choices past age 50. Costner is clearly their most recent graduate with 2 more films coming out in the next 3 months alone. I don't begrudge him this. He's still handsome and he will forever have my loyalty due to my love of JFK. That being said, there isn't anything NEW to be found in the film that you couldn't glean from the trailer. The inherent problem in any prequel is that a bit of the wind has been taken out of the sails because, in one way or another, we already know that the characters survive. Simply put, there's a level of anxiety/anticipation that a reboot simply can't force an audience to reach because we know our hero/spy is never going to actually be in any mortal danger. My final thought on the film is echoed by the film's final line. If it wasn't clear to me before, it's clear now that what American studios have always really wanted is an American James Bond. Jack Ryan and Jason Bourne will clearly alternate the years in which they vie for this title, but since this film's final line is "Ryan...Jack Ryan, sir" it's both a send-up to the great spy films that came before it, and, I would have to think, an indication that this won't be the last time the world sees Jack Ryan. I'd be more than ok if it meant seeing Chris Pine in the role again, although by the time they get around to doing another Jack Ryan film it might be time for him to be attending the 2025 Neeson & Cage Career RebootCamp. 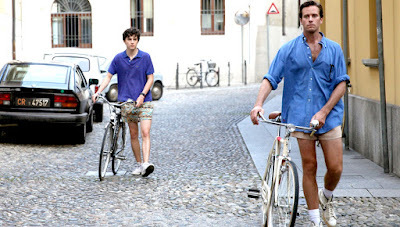 Overall: You can wait to Rent This. Unless you're like me and just ok with spending matinee prices to watch matinee idols tear it up on a Ducati.